An increasingly compelling literature points to a major role for the glutamate system in mediating the effects of alcohol on behavior and the pathophysiology of alcoholism. Preclinical studies indicate that glutamate signaling mediates certain aspects of ethanol's intoxicating and rewarding effects, and undergoes adaptations following chronic alcohol exposure that may contribute to the withdrawal, craving and compulsive drug-seeking that drive alcohol abuse and alcoholism. We discuss the potential for targeting the glutamate system as a novel pharmacotherapeutic approach to treating alcohol use disorders, focusing on five major components of the glutamate system: the N-methyl-d-aspartate (NMDA) receptor and specific NMDA subunits, the glycineB site on the NMDA receptors (NMDAR), l-alpha-amino-3-hydroxy-5-methyl-isoxazole-4-propionic acid ionotropic (AMPA) and kainate (KAR) receptors, metabotropic receptors (mGluR), and glutamate transporters. Chronic alcohol abuse produces a hyperglutamatergic state, characterized by elevated extracellular glutamate and altered glutamate receptors and transporters. 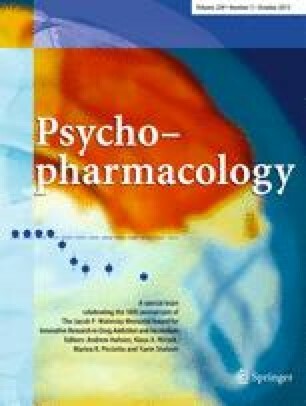 Pharmacologically manipulating glutamatergic neurotransmission alters alcohol-related behaviors including intoxication, withdrawal, and alcohol-seeking, in rodents and human subjects. Blocking NMDA and AMPA receptors reduces alcohol consumption in rodents, but side-effects may limit this as a therapeutic approach. Selectively targeting NMDA and AMPA receptor subunits (e.g., GluN2B, GluA3), or the NMDAR glycineB site offers an alternative approach. Blocking mGluR5 potently affects various alcohol-related behaviors in rodents, and mGluR2/3 agonism also suppresses alcohol consumption. Finally, glutamate transporter upregulation may mitigate behavioral and neurotoxic sequelae of excess glutamate caused by alcohol. Despite the many challenges that remain, targeting the glutamate system offers genuine promise for developing new treatments for alcoholism. AH is supported by the NIAAA intramural research program. RS is supported by the Bundesministerium für Bildung und Forschung (NGFN Plus; FKZ: 01GS08152, see under Spanagel et al., 2010 and www.ngfn-alkohol.de), the Deutsche Forschungsgemeinschaft (DFG): SFB 636 (B1) and Reinhart-Koselleck Award SP 383/5-1, and the MWK in Baden-Württemberg. JHK is supported by the U.S. National Institute on Alcohol Abuse and Alcoholism (2P50AA012870), the National Center on Advancing Translational Science (CTSA Grant Number UL1 RR024139), the U.S. Department of Veterans Affairs through its support for the VA National Center for PTSD, and Yale–New Haven Hospital.